Nolton Cross Caravan Park a family run site which is situated 1 .5 miles inland of Nolton Haven on the mid St Brides Bay Coast, set on level ground with panoramic views of the Preseli Hills and surrounding open countryside. Many safe sandy beaches within a five mile radius these include Newgale Sands, Nolton Haven, Druidston Haven, Broad Haven and Little Haven. Facilities for 15 touring caravans and tents are provided in an area to the south of the static park offering electric hook ups to all pitches. 5 hard standing pitches are available. Extra area is allocated to tents for the month of August, with no electric facilities. 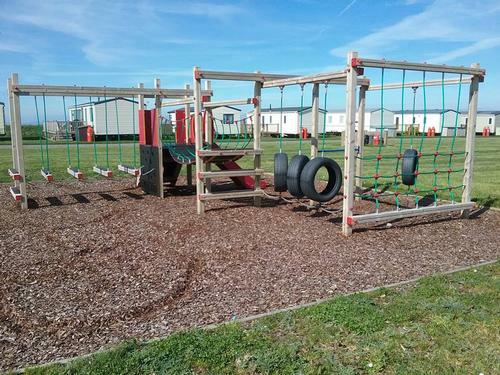 There is a toilet and shower block offering free hot showers and dish washing facilities. A laundry room with coin operated washer, dryer and iron. Also a chemical disposal point that is covered and lit. Baby changing and bath are available. 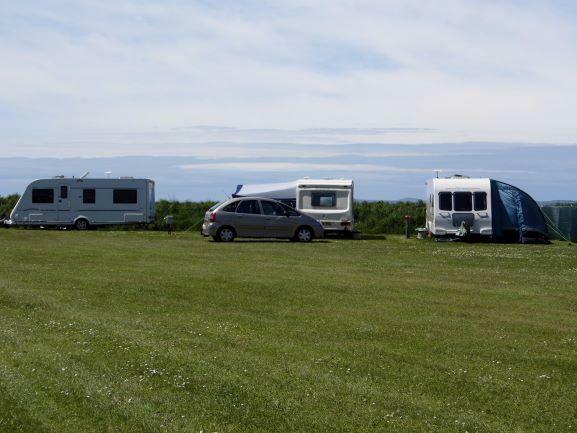 There are 30 static caravans on site, a large proportion being privately owned, with a small hire fleet of 8 units being personally supervised by the park owners. 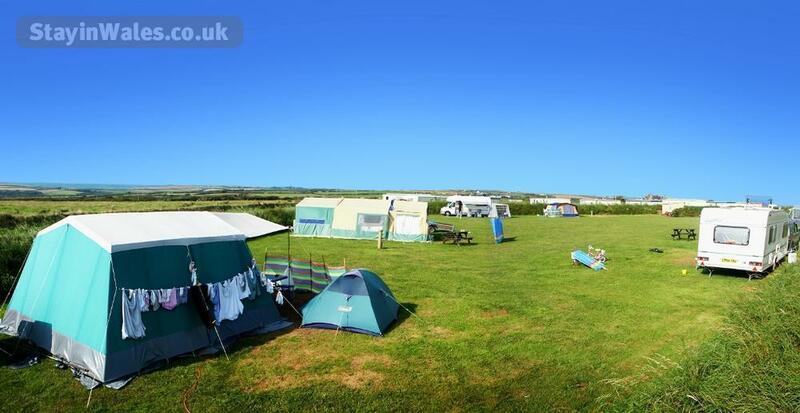 All caravans provide accommodation for up to 6 persons with two or three bedrooms providing sleeping accommodation in 1 double bedroom, and 1 or 2 twin bedrooms and a combination of beds in the living area being a double or two singles. Toilet and bathroom with shower, kitchen with gas cooker, microwave and fridge, spacious lounge/dining area with TV. Fully equipped for 6 persons with crockery, cutlery, blankets, duvets and covers. Bed linen is not provided. 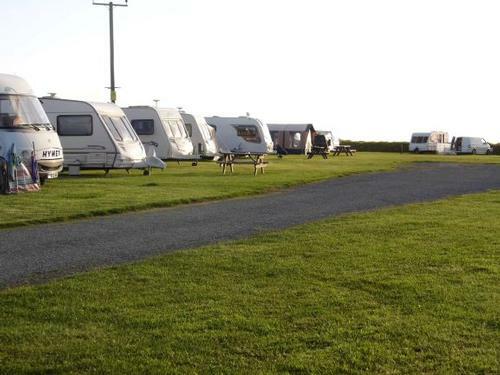 Some of the caravans have central heating systems in place. Travel cot and highchair available if required. 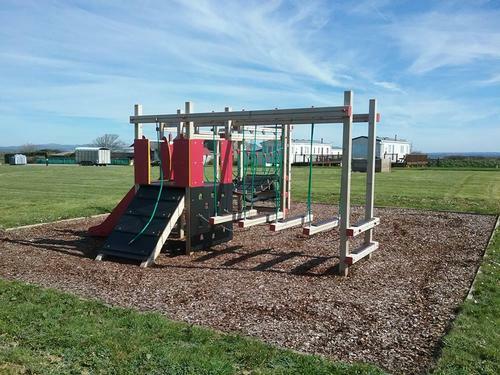 Children's play area with large open spaces for ball games and bicycle riding. We have two beautiful shepherds' huts which are situated to the south of the park. Both are fully equipped with crockery, cutlery, bedding, cooker and a small fridge. 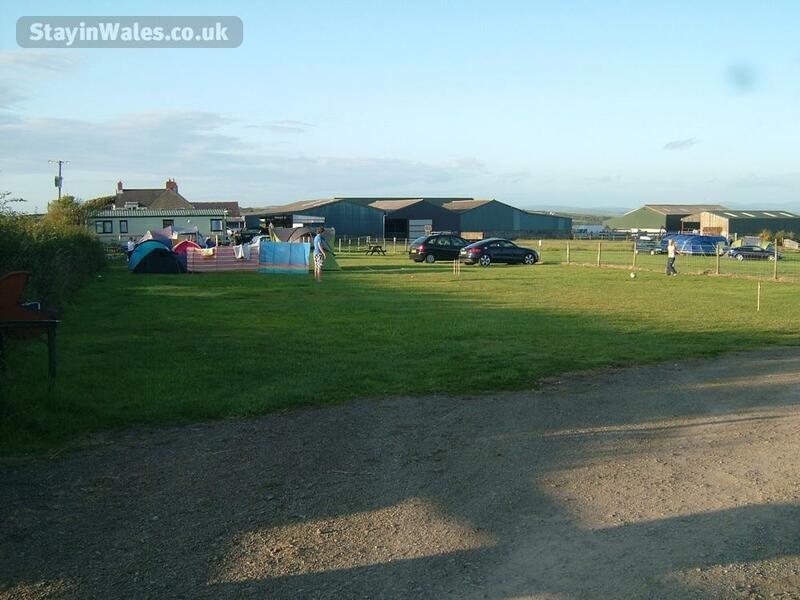 There are hot showers and toilet facilities available on site within walking distance of the hut. 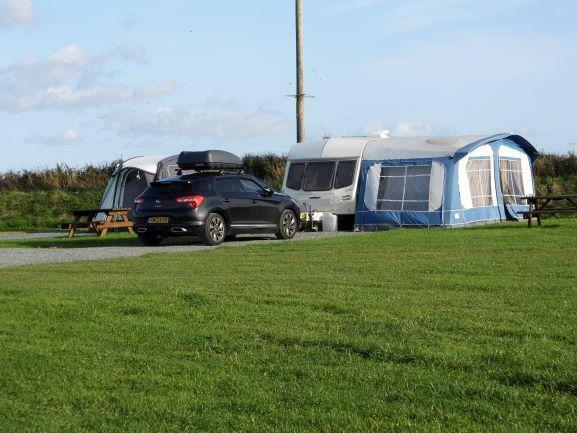 Thrift has a kingsize bed to sleep 2 adults and a small private decking area provides beautiful views out over the surrounding countryside and sea. 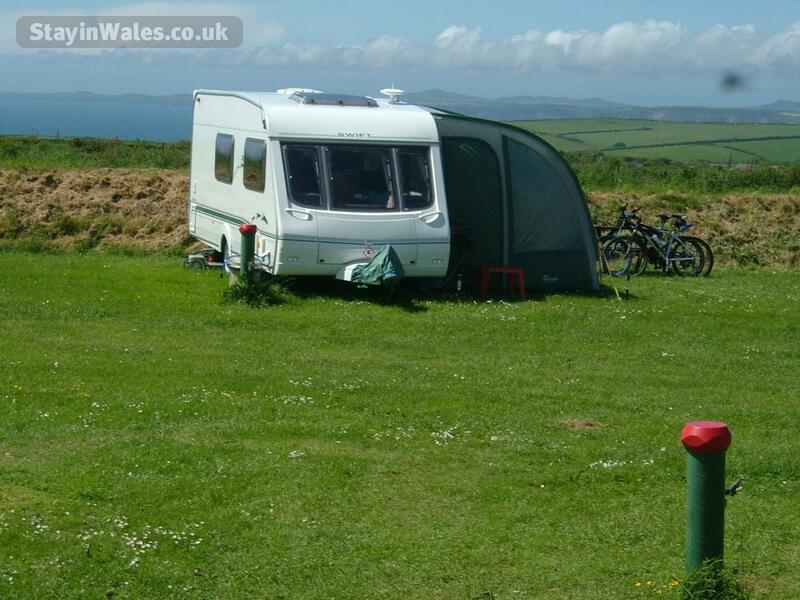 Heather has a double bed and a single bed / seating area, and has the added benefit of a small toilet and separate sink. Nolton Cross Caravan Park is situated in mid Pembrokeshire, 6 miles west of the county town of Haverfordwest and 10 miles from the city of St Davids. We are also miles inland of the St Brides Bay coastline and are within a 3 mile radius of safe, sandy beaches which include Nolton Haven, Broad Haven, Little Haven and Newgale. Nolton riding stables is within 1 mile from the caravan park. 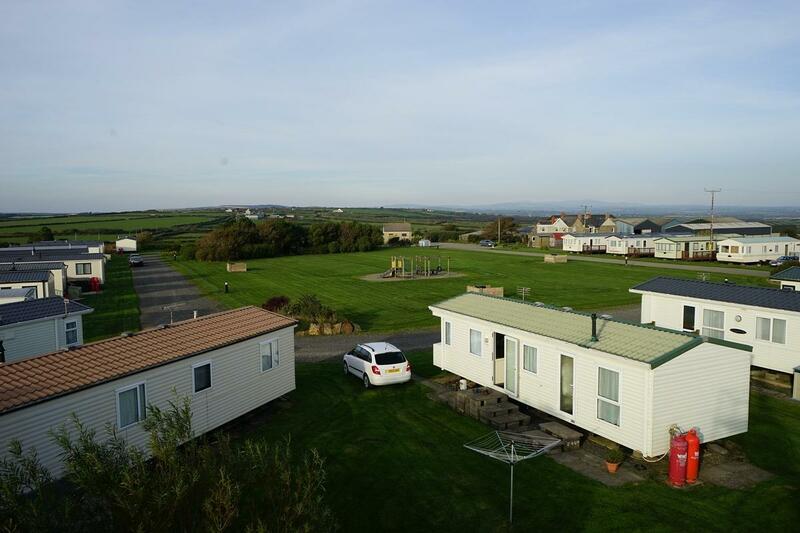 We are set on level ground with panoramic views of St Brides Bay, Preseli hills and the surrounding countryside. We are a working farm with a herd of suckler cows, their calves and beef followers. Most animals are out at grass during the late spring, summer and early autumn and can be viewed in the surrounding fields. 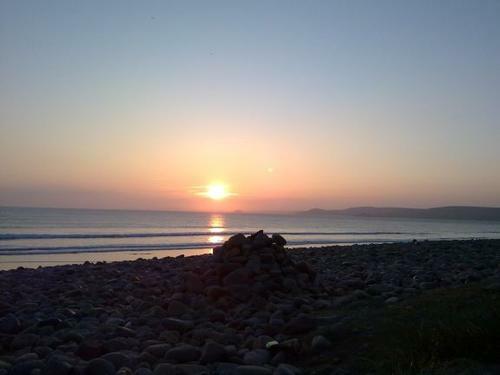 Popular venues for windsurfing and surfing are Newgale, Whitesands Bay and Dale. Trips to the offshore islands are available from Martin's Haven and St Davids. 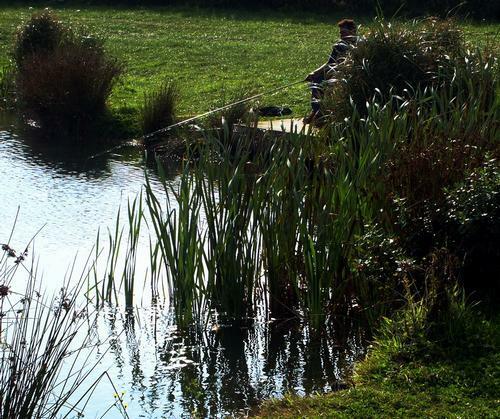 There are a variety of sea life centres, farm parks, riding centres, museums and castles within easy reach. The Pembrokeshire Coastal Path is accessible at various points locally and provides superb scenic walking. Pembrokeshire coastal bus service is available between St Davids and Marloes. Spring - early coast path flowers in bloom, first migrant birds arrive. Late spring - puffins on Skomer and Skokholm. Summer - Coast Path flowers in full bloom in early summer; seals, porpoise and dolphins may be seen from boats, islands and headlands - and maybe even the beach. Autumn - seal pups born; thousands of migrating birds pass over Strumble Head. Winter - snow on the Preseli Hills and wild winter storms lashing the coast; bracing walks on coast and hills followed by cosy pub meals. 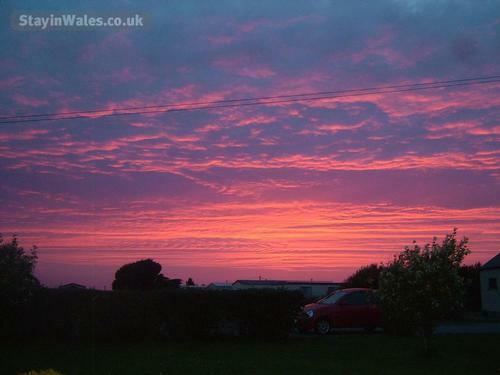 You'll never be short of entertainment for the whole family in Pembrokeshire, whatever the time of year. There's a huge range of attractions that give you the chance to have a fun day out. The open reception area offers an abundance of local information. Please note: Do not use our postcode in your satnav as it will take you to the wrong place. Free parking alongside each unit.